Tikal was one of the two Classic era Maya superpowers, and the home of impressive (and photogenic) monumental architecture. 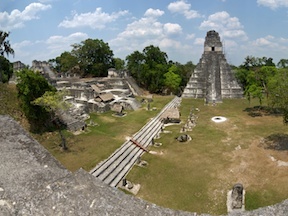 Tikal takes some effort to get to, but will reward you with memories and images you’ll cherish for a lifetime. A Photographer’s Guide to Tikal is a comprehensive guide to the ruins, with an eye toward making the photographs you take there the very best they can be. This eBook will cost $4.99 and is coming soon for Kindle, Apple devices, Nook, and via Smashwords for all other devices.